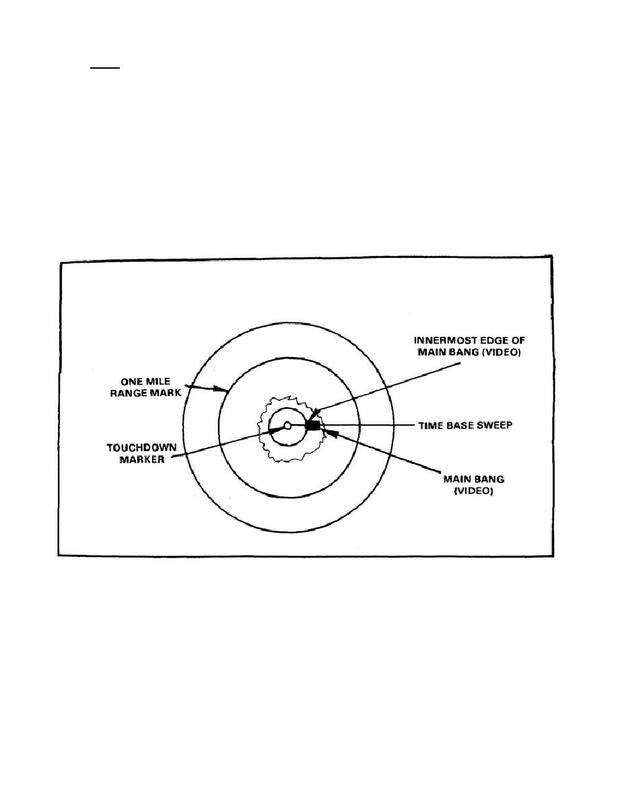 Home > Munitions Reference and Training Manuals > > Figure 44. CRT presentation. Figure 42. Control radar set C-2074/FPN-33. must be turned fully clockwise and then counterclockwise. the CRT, located on control radar set C-2074/FPN-33 (Figure 42). bang (video) to move toward the touchdown marker (Figure 44). to as the TD marker.